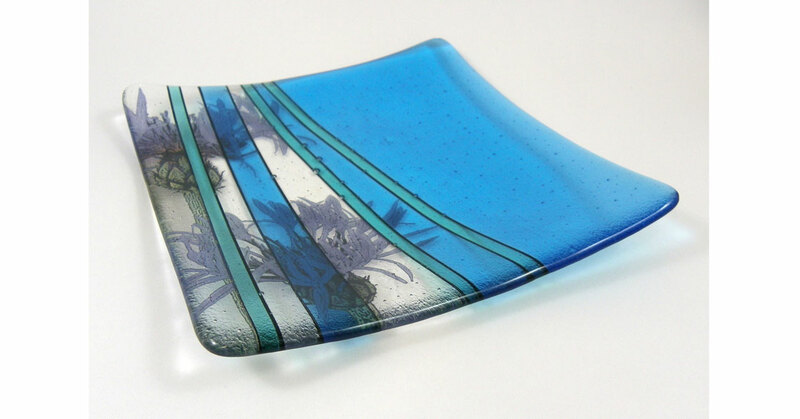 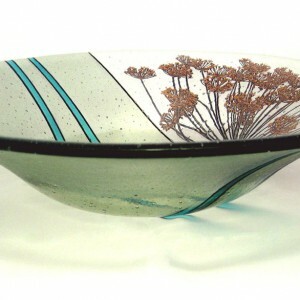 Naomi Singer creates items of fused glass inspired by plants and flowers that grow around her Cornish home. 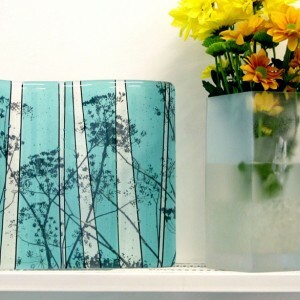 She combines traditional glass working techniques and digital images to create beautiful and unique pieces of wall art and homeware. 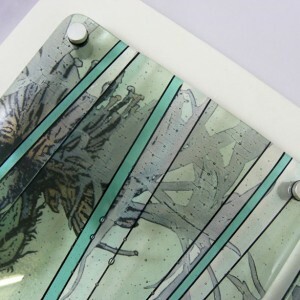 All her pieces start as a photograph Naomi takes, she then draws into the image, changing the colours and scale before it is printed as a water-slide decal. 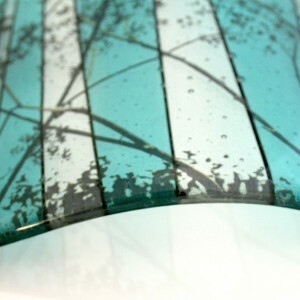 Naomi then cuts thin sheets of glass into a pattern before layering up the glass and print out and firing it in her kiln. 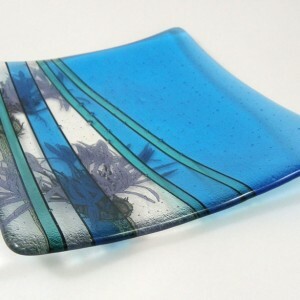 The flat piece is then drilled as a wall piece or fired a second time to shape it into a bowl or dish. 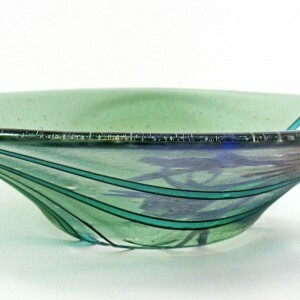 Naomi’s work can be seen in select galleries throughout England and in her studio at Krowji, Redruth.